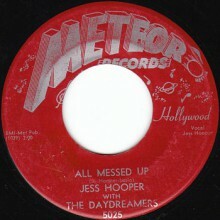 Jess Hooper With The Daydreamers "Sleepy Time Blues/All Messed Up" 7"
Wayne McGinnis With The Swing Teens "Rock, Roll And Rhythm / Lonesome Rhythm Blues" 7"
Welcome to the CRYPT MAILORDER site! 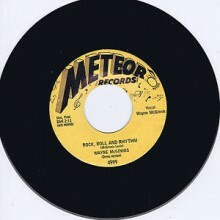 Crypt has been a record label since 1983 and a dependable, devoted cult mail order since 1986. This site is fairly easy to navigate, but if you have any problems or questions, feel free to email us. And if you happen to be in Hamburg, check our little Cool & Crazy shop in the Julius-Leber-Str. 20, near the train station Altona.